Louis Daniel Armstrong , nicknamed Satchmo or Pops, was an American jazz trumpeter and singer from New Orleans, Louisiana. ncludes exact transcriptions of 10 songs including always, havana, passages, and the moment. Includes 20 songs: I Got You (I Feel Good) • Get Up • Papa's Got a Brand New Bag • Night Train. Irving Berlin was an American composer and lyricist of Jewish heritage, widely considered one of the greatest American songwriters in history. Wonderful collection from this musical master. The 22 titles include: Baby Elephant Walk * Crazy World * Days of Wine and Roses * Inspector Clouseau Theme * Moon River * The Pink Panther * Song from "10" (It's Easy to Say) * The "Thorn Birds" Theme. The top tunes from hard rock's leading band, including: Sweet Child O' Mine, November Rain, Welcome to the Jungle, and more. Selections From Use Your Illusion I & II For Piano by Guns N' Roses. For voice, piano and guitar chords. gloria! is the eighth studio album released by American singer-songwriter Gloria Estefan, released in 1998 by Epic Records. Destiny of Gloria Estefan. Destiny was Gloria's sixth studio album released at 1996, the first single of the album, "Reach" become widely popular around the world for being the official theme of the Atlanta 96 Olympics. This album is more soft and more ambient than other previous Gloria albums, like in a more "adult style", only two songs: "You'll Be Mine (Party Time)" and "Higher" are the most up-beat songs of the album. For piano/vocal/chords. Pop/Dance Pop. 74 pages. Ladies & Gentlemen: The Best of George Michael is a greatest hits collection released by George Michael in 1998. A Trick of the Tail is the seventh studio album by the rock band Genesis and the first to feature Phil Collins as full-time lead vocalist following the departure of original vocalist Peter Gabriel..
Anthology by Genesis. For voice, piano and guitar chords. Classic Rock.Songbook. Frank Sinatra's Greatest Hits! is Frank Sinatra's first compilation released on his own Reprise Records. It concentrates on mostly single releases from the mid to late 60's..
Rumours is the eleventh studio album by British-American rock band Fleetwood Mac. Largely recorded in California during 1976, it was produced by the band with Ken Caillat and Richard Dashut and was released on 4 February 1977 by Warner Bros. Records. The record peaked at the top of both the United States Billboard 200 and the United Kingdom Albums Chart.. The First 20 Hits is a greatest hits collection from Erasure, released in 1992 by Mute Records in the UK and Elektra Records in the U.S. The Doors is the debut album by the American rock band The Doors, recorded in August 1966 and released in January 1967. No Angel is the debut album by POP Singer/Songwriter Dido. The Girl in the Other Room is the eighth album by jazz singer and pianist Diana Krall. The Collection Volume 3 of Diana Krall is a collection that contains classic songs. The Very Best of Diana Krall is the eleventh album by Canadian jazz pianist and vocalist Diana Krall, released in 2007.On the U.S. Billboard 200 chart, the album debuted at number 19, selling about 30,000 copies in its first week . Ultra is Depeche Mode's ninth full-length album, which was released by Mute Records on 14 April 1997. 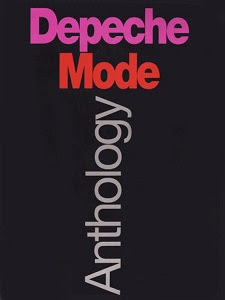 "Depeche Mode: Anthology" is a great book for piano players looking to play pieces by Depeche Mode. This book came out in 1991, after "Violator" and before "Songs of Faith and Devotion", so the music in it is, primarily, from the band's earlier days. The sheet music is written for piano and includes guitar tabs. This is a great book to give to a piano playing, Depeche Mode fan. The book covers most of their singles from their beginning to 1991, but has a strong emphasis on the music from "Black Celebration", "Music For the Masses", and "Violator". The Singles 81→85 is a singles compilation album released in October 1985 by Depeche Mode. White Ladder is the multi-platinum selling fourth studio album by British singer-songwriter David Gray, first released in November 1998. The matching folio for the acclaimed fourth album by singer/songwriter David Gray - featuring the hit single "Babylon". Arranged for piano, voice and guitar with full lyrics and chord boxes. Nine of Chris De Burgh's greatest hits arranged for piano and voice, with guitar chord boxes. Includes The Lady in Red, Don't Pay The Ferryman and Spanish Train. Christina Aguilera is the self-titled debut album by American pop singer Christina Aguilera. Released on August 24, 1999 in the U.S. by RCA, the album became a worldwide commercial success..